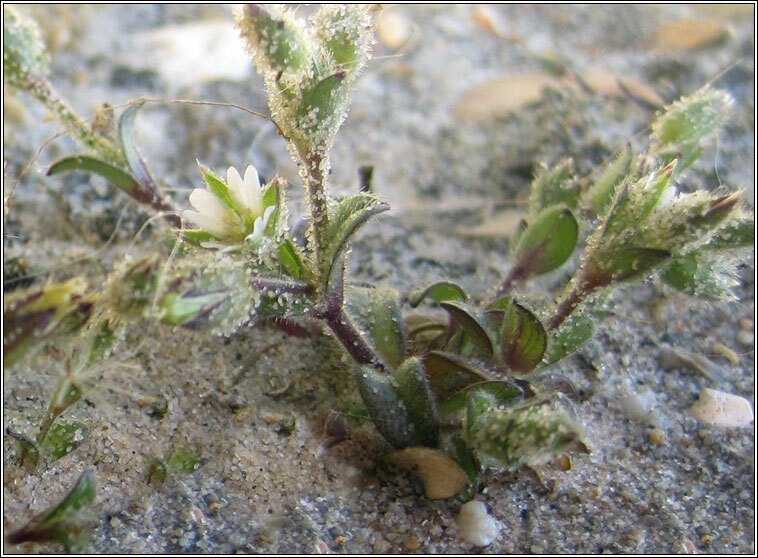 Habitat: Coastal species growing on dry, open ground, sandy or gravelly soil, dunes, grassland and walls. Very frequent around British and Irish coasts, scattered distribution inland. 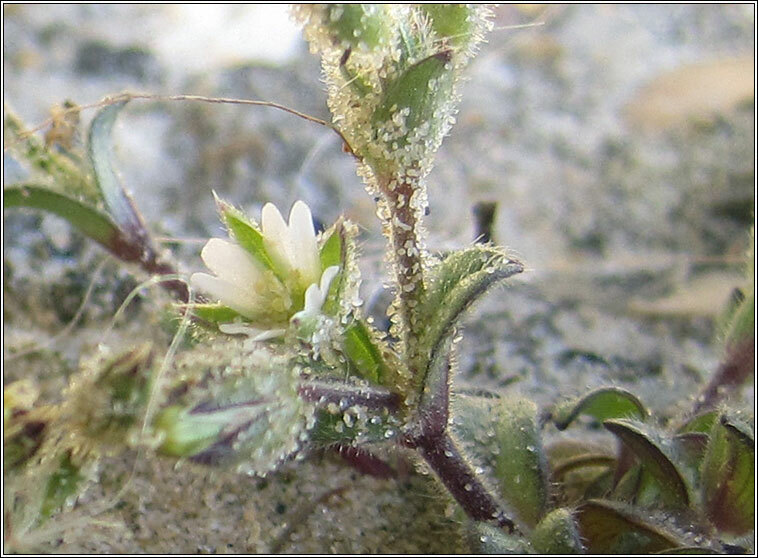 The four (sometimes 5) petalled, notched white flowers are shorter than sepals with leaf-like green bracts. Straight, usually 8-toothed seed capsules. Lower leaves oblong to broad-oval, upper oval-elliptical. Glandular-hairy plant with erect or spreading stems. Height: To 30cm. 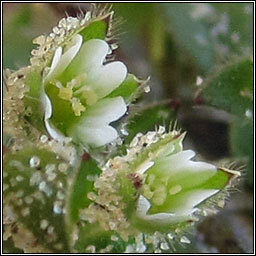 Similar: Little Mouse-ear, Cerastium semidecandrum.